Cozy Chicks: Yum yum -- pot pies! 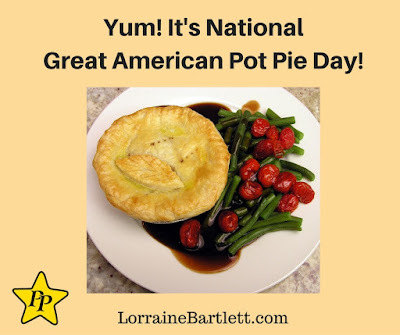 Yum yum -- pot pies! Mr. L LOVES pie. Fruit pies. Me? Not so much. I like meat pies. I make a pretty mean turkey pot pie after Thanksgiving, and have even started buying turkey parts other times of the year so that I can have them whenever I want. I also make a lot of chicken and leek pies. Yum-Yum. Perfect on a cold winter's night. My aunt makes a really, REALLY good steak and mushroom pie, and when I was in England, every pub had some kind of meat pie on the menu and that's what I always chose. Of course, the weather report for today is NOT for cold weather, so I'm going to wait a couple of weeks before I make one ... but it's giving me something to look forward to. What's your favorite kind of meat (or other) pie?